I read this article and found it very interesting, thought it might be something for you. 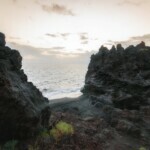 The article is called Top things to do in Stromboli in one day – For adventurous souls and is located at https://capturetheatlas.com/stromboli-in-one-day/. 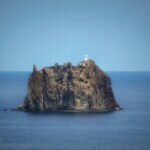 Stromboli, the Mediterranean lighthouse, was a highlight of our trip. 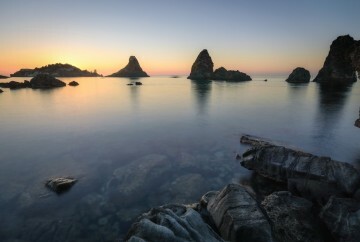 This small Eolian Island was a key decision factor for the route we chose on our 10-day Sicily tour. We had the option to travel from either the north or the south of the island. 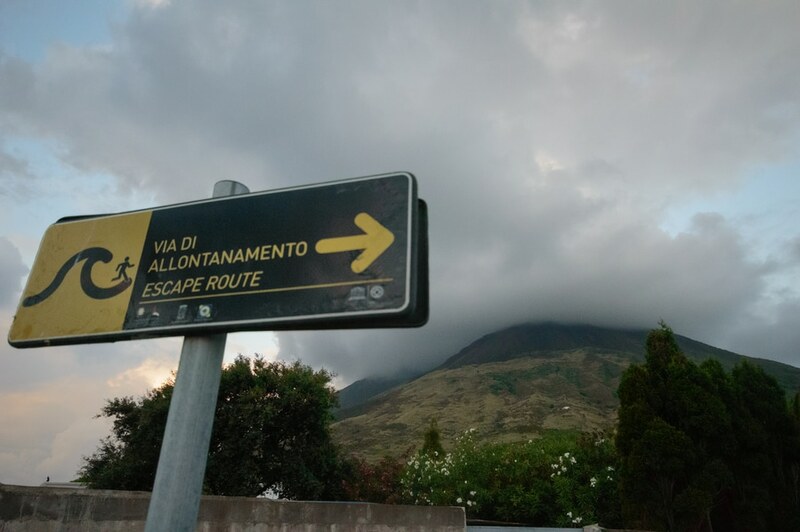 As soon as we learned about Stromboli on the northern route, which features an erupting volcano that you can hike to, it was easy to make up our minds. 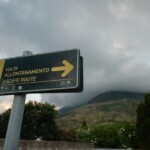 We found out afterward that we could have been fined €500 for hiking to the volcano summit without a guide. In my defense, there were no signs indicating the requirement at the trailhead, but we were lucky to not have been caught. Some rumors say that the fines began after some hikers died of inhaling toxic gases. Others told us that it was simply a new way for the guiding agencies to make money since they have exclusive rights to take you to the summit. 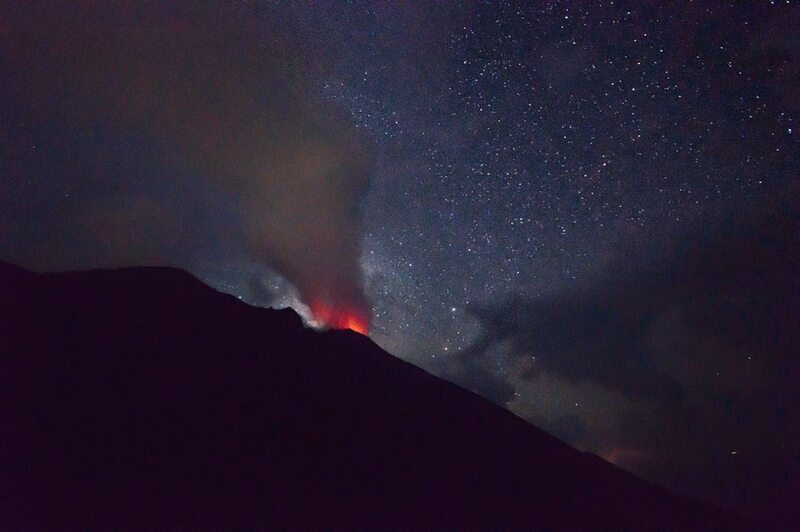 Although we do not advise climbing the Stromboli volcano illegally, we personally do not regret doing what we did – sleeping under the stars as we watched lava erupting from the volcano. 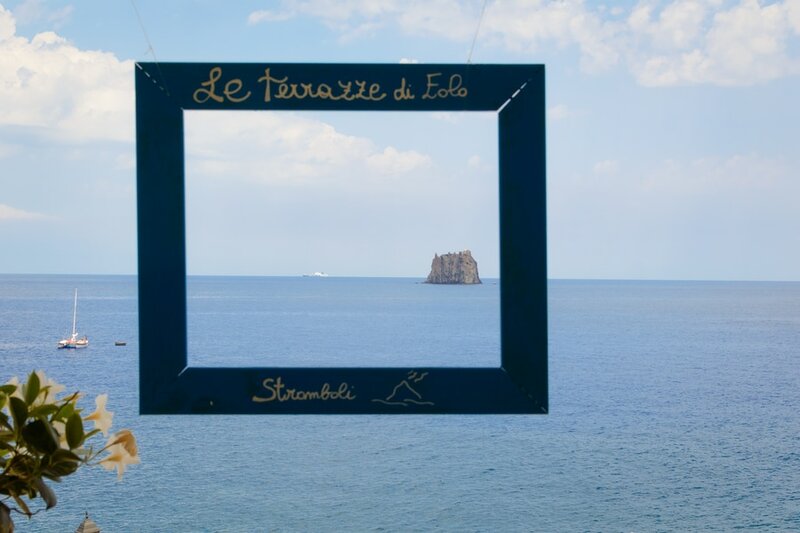 The easiest way to get to Stromboli is from Milazzo. Several ferries depart daily from its port to the Aeolian Islands: Lípari, Vulcano, Salina, Stromboli, Filicudi, Alicudi and Panarea. 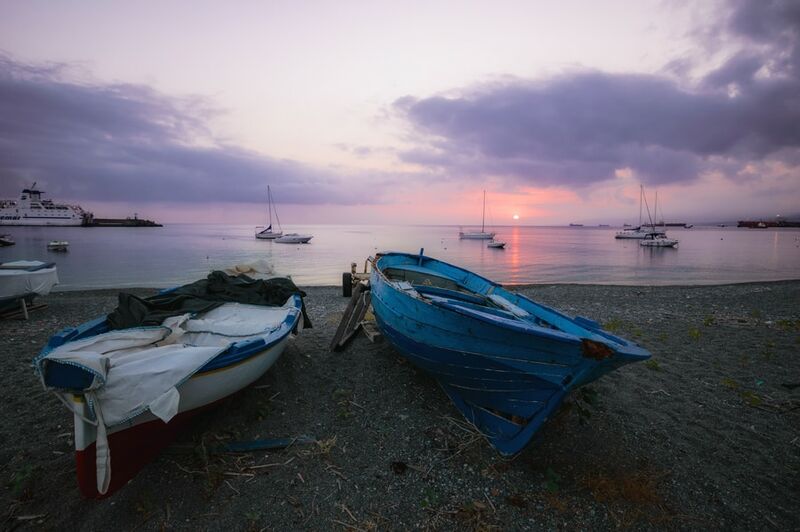 Our time in Sicily was very limited, so we had only booked one day to visit Stromboli. To maximize our time there, we took the first ferry out and returned as soon as possible on the next day. 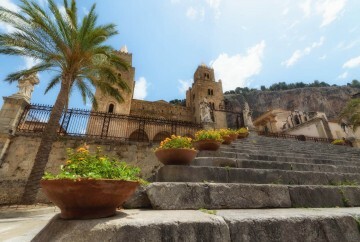 We traveled with Usticaline, a round-trip ticket cost € 45 per person. 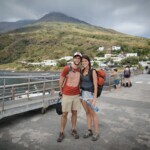 The ferry takes about an hour and a half to Stromboli including stops on the other islands. 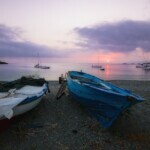 The Stromboli island is made up of two main villages, Stromboli and Ginostra. These villages are only accessible by boat. 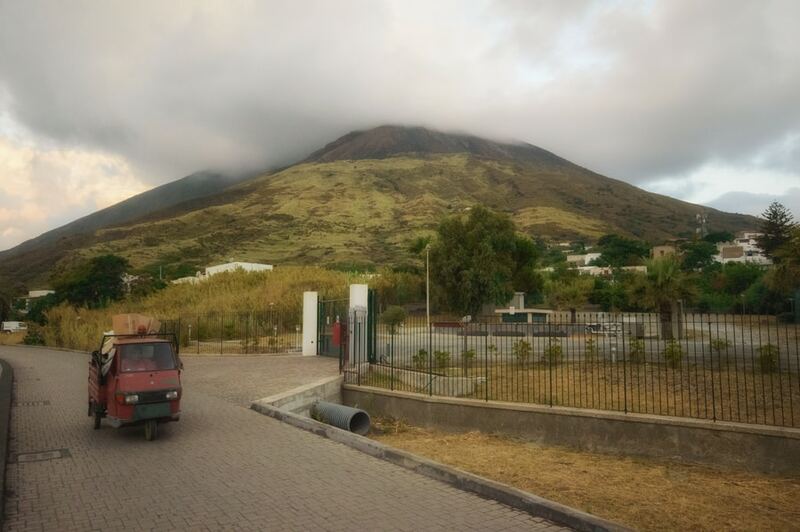 Ginostra is much smaller, and the route to the volcano from here is more difficult, so we went to Stromboli. 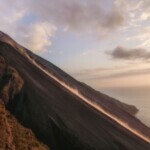 You will find a sample Stromboli in one day itinerary within this section. 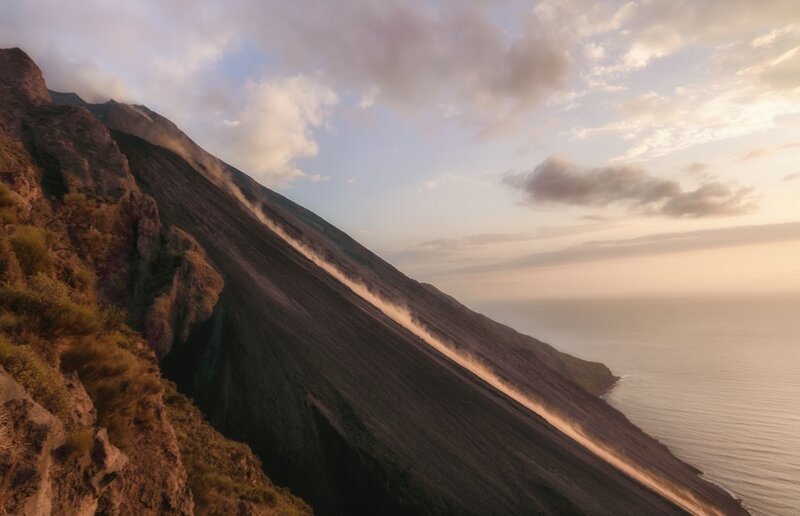 As you arrive at the Stromboli port, you will see the imposing volcano that you are about to climb. To the right on the main avenue, you can see extensive volcanic black sand beaches. 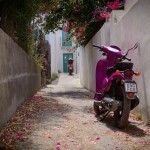 In addition, I recommend you to move away from the coast and lose yourself in the whitewashed alleys. 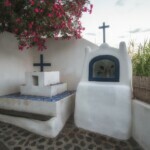 If you have ever seen the classic Stromboli movie, you will feel as though you have been here. 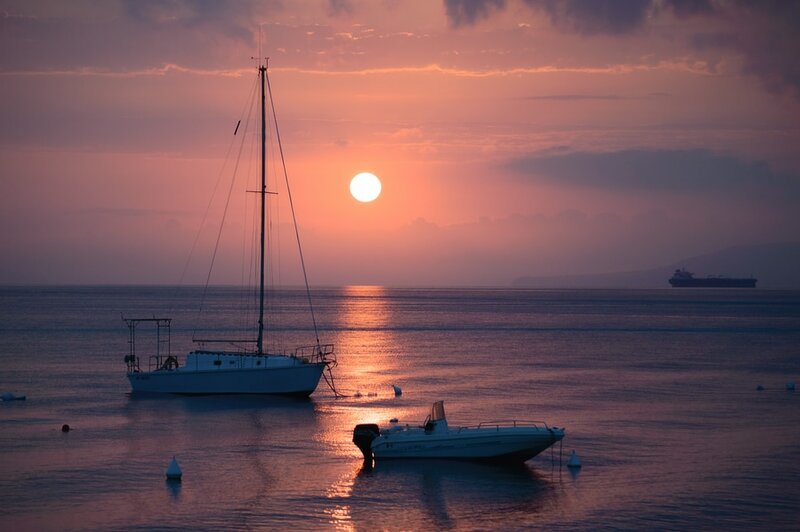 Even in July, the island is a calm and unrushed place. 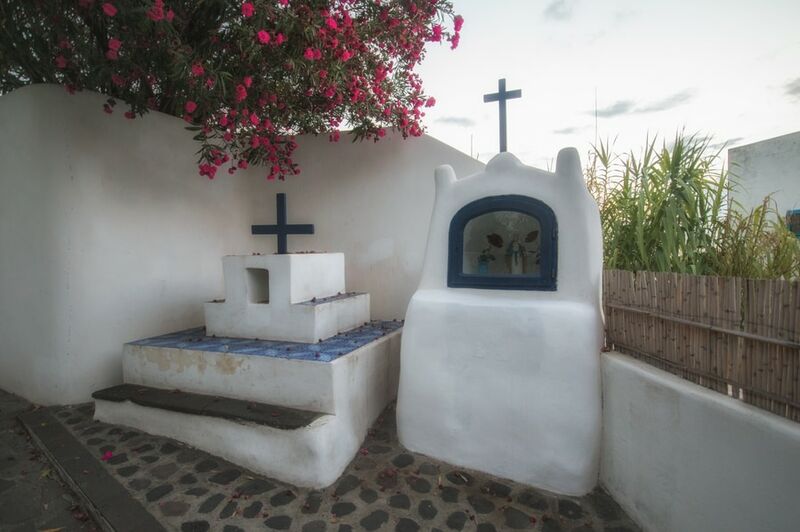 Stromboli is buffered from the hustle of other touristy areas in Sicily such as Cefalu and Taormina. When you see the size of the streets, you completely understand why there are no cars in Stromboli. 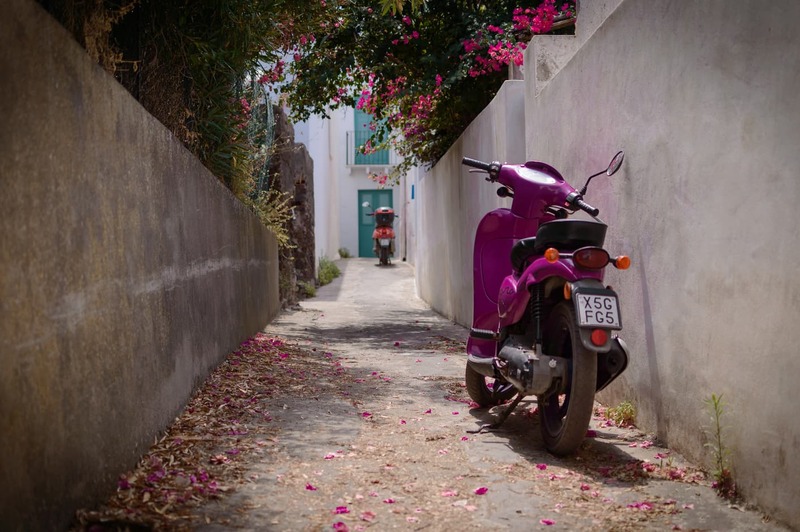 The only vehicles moving through these narrow lanes are motorcycles and the iconic Piaggio Ape, like the one you can see in the following image. 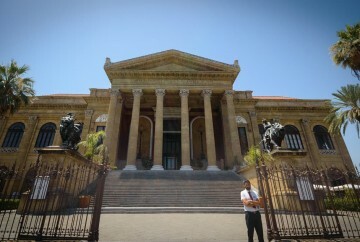 We also recommend visiting the Parrocchia di San Vincenzo Ferrari, where there are great views from the square. 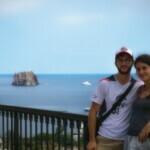 From there, you can see the Strombolicchio, an islet just 2km away from Stromboli. Its name means “Small Stromboli” in Sicilian. 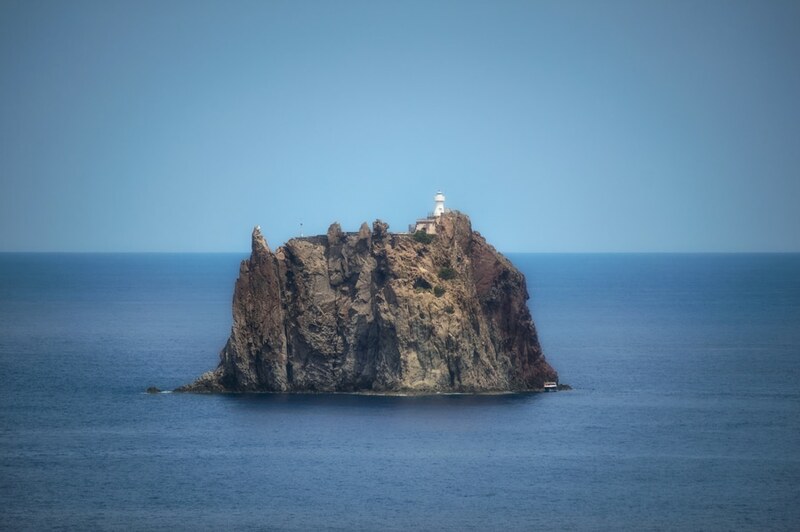 This small islet is really nothing other than what is left of the original volcano that collapsed into the sea. 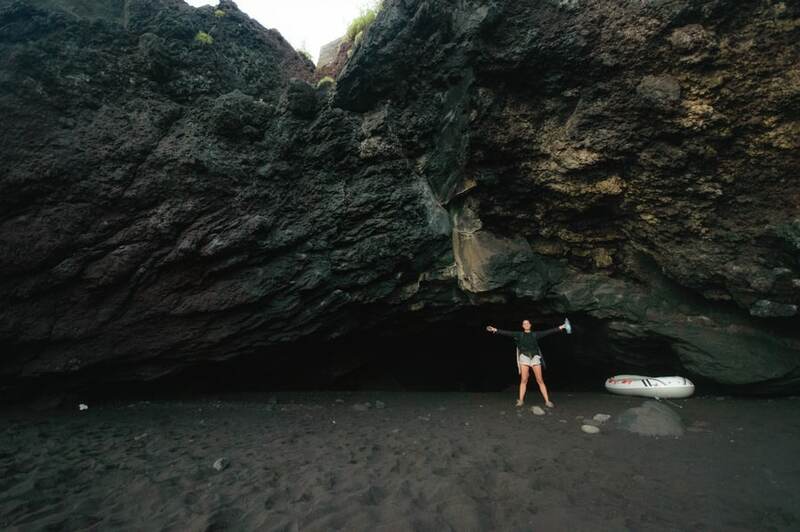 One of the best places to spend your morning in Stromboli is at on one of its volcanic black sand beaches, Grotta di Eolo, suggested by a couple of locals as the best beach around. 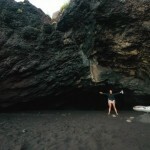 This beach is notable for its cave that is formed by lava. The beach is quite hidden, so I recommend checking its location on the map. One interesting thing we found on the way to this beach was a tsunami action protocol poster. 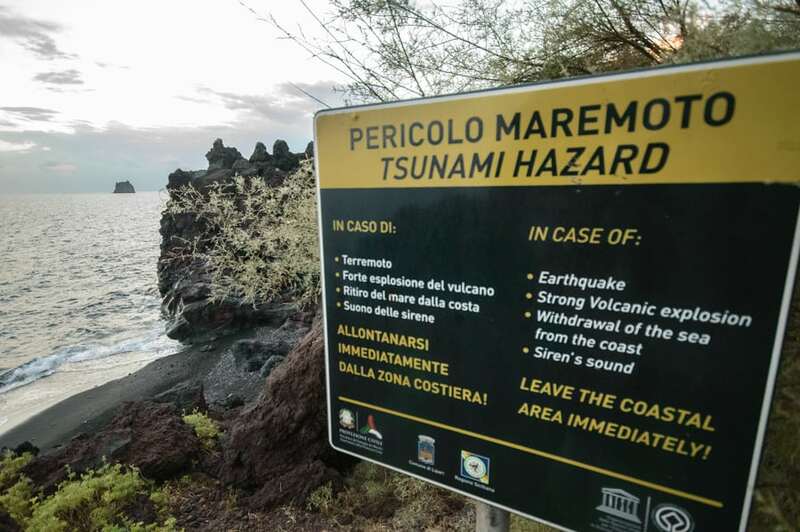 Since earthquakes are quite common in Stromboli, this puts the island at risk for tsunami if the quakes are large enough. 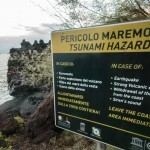 In 2002, there was a Tsunami that caused huge damages to the island, and since then, such posters can be easily located. 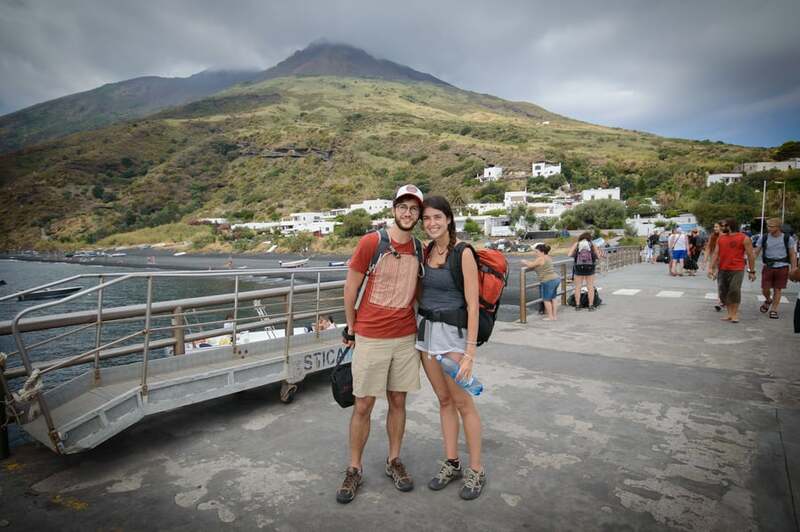 Nonetheless, the best part of our day in Stromboli was climbing the volcano. In the map below, you can see guided tour paths in blue. It is done counterclockwise since it is easier to go down a slope of volcanic ash. The green route shown would be the footpath of Sciara del Fuoco, a trail that leads to the viewpoint of the Sciara del Fuoco. From here, only geologists with special permits or guardians can continue. There should be a warning sign, however, we did not see it. 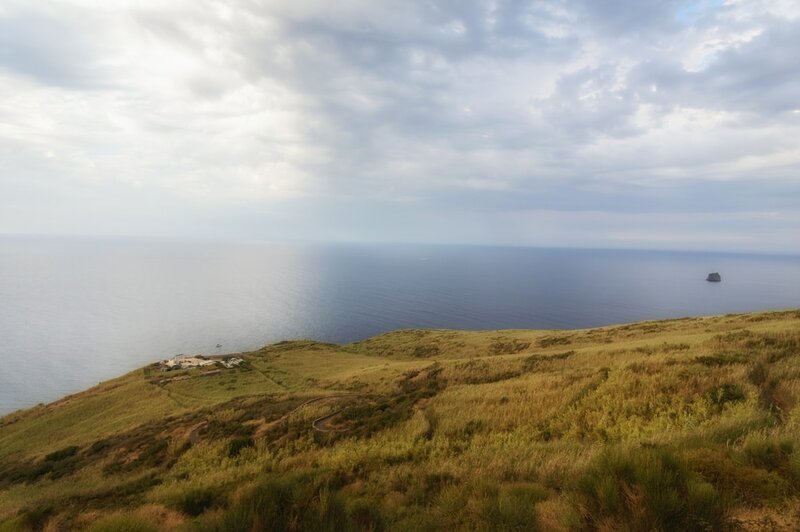 The Sciara del Fuoco Lookout is about two hours from the center of Stromboli. I recommend carrying plenty of water. On the way up, you will not find any place to stop and get more. It is simple at the beginning. If you want to see the coast, you just have to walk Northwest on Via Vittorio Emanuele or Via Regina Elena, then follow Via Piscità. 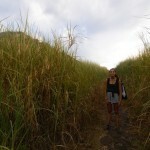 When you arrive at the “osservatorio”, the path can be more abrupt from the undergrowth which practically covers you. In addition, the path becomes steeper, making it more difficult. The osservatorio was a center for studying and monitoring volcano activities, although nowadays it is only used as a restaurant. After a fairly stifling trek of constant zigzag, we arrived at the lookout just in time to enjoy the sunset. 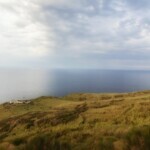 This viewpoint is located about 290m above sea level and has two levels. 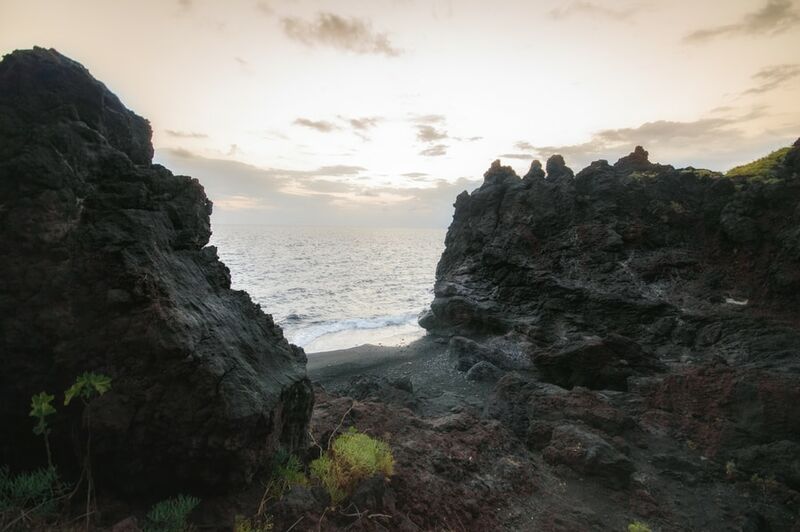 From the second one, you can see Sciara del Fuoco, the path through which lava flows down to the sea. We got to see smoke coming out of the volcano and some stones rolling downhill. As any natural phenomenon, it is impossible to control. 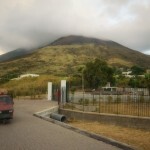 It turned out that the volcano was in a low activity period during our trip to Stromboli. We were very close to the summit, at about 900 meters high (the highest point is 924 meters). We heard the voices of those who were on a guided tour of the volcano. We saw the lights of their lanterns a few meters away. 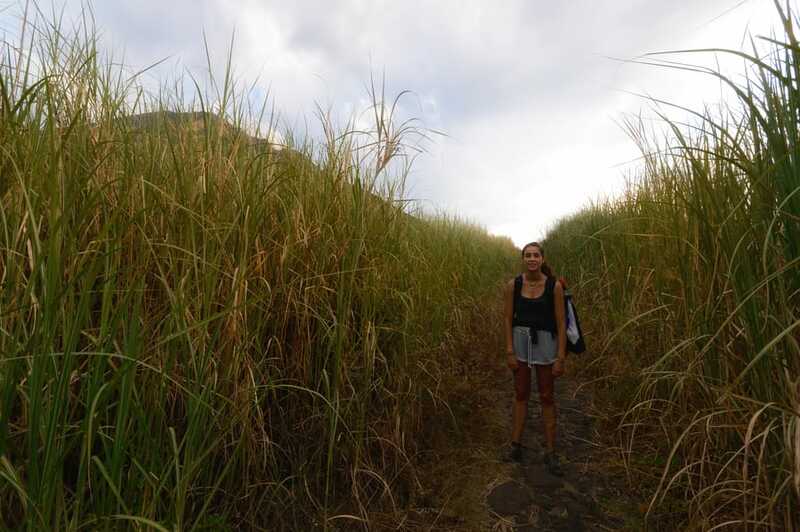 But at that moment, we realized that maybe we should not be there, and to avoid conflict with the guides, we decided not to join the guided groups and quickly went down the way we came. 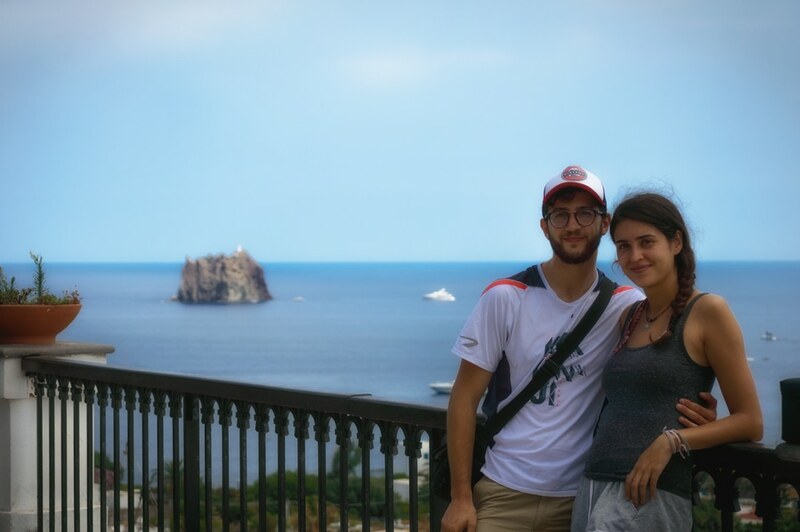 A few days before traveling to Stromboli, Dani and I decided to cancel the accommodation we had booked. 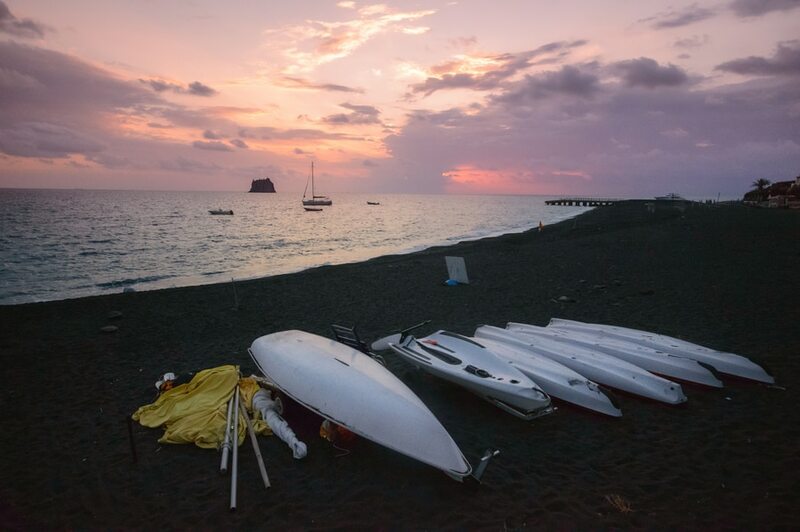 The prices in Stromboli are very expensive, and as we were traveling with a low budget we decided to try to make a bivouac either at the volcano or one of the beaches. About two hours after we started, we were back at the starting point, the Sciara del Fuoco viewpoint. 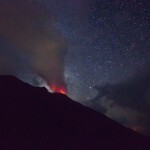 Between the darkness and low activity of the volcano, sometimes a few sparks of fire seemed to be shot towards infinity, and other times, a mute roar that broke the silence of the night reminded us that the volcano was still alive. While Dani practiced with some night photos, I opened the sleeping bag and laid down to observe the volcano’s summit until I fell asleep. However, the peace did not last very long. The sky got covered with clouds and a threatening rain. We picked up our bags and descended the volcano to find some shelter. 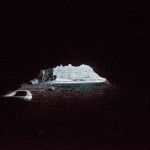 And there was no better place than the Grotta di Eolo. 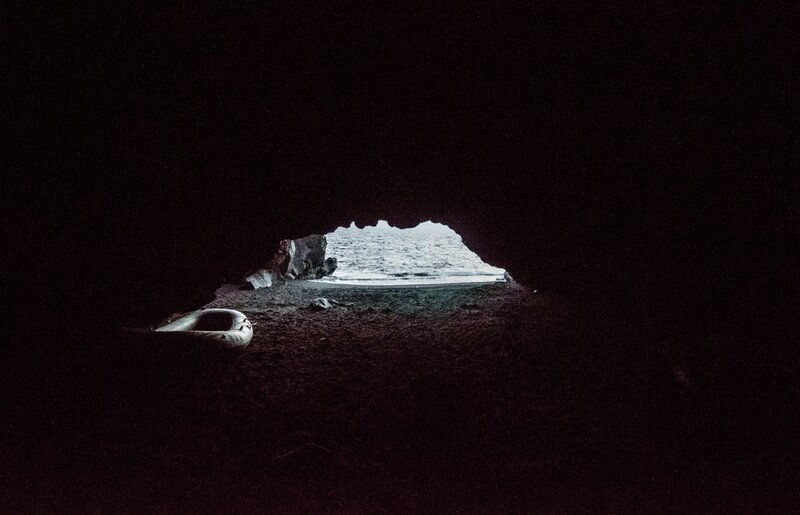 It was two o’clock in the morning when we opened the sleeping bags inside the cave. The temperature was perfect. Also, there were no mosquitoes and we were able to sleep the rest of the night. 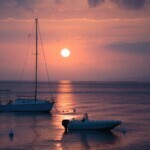 The next morning, we got up early with the first lights that crept into our cave, and headed to the port for the ferry. We had two meals in Stromboli. The first was just before embarking on our adventure to the volcano. 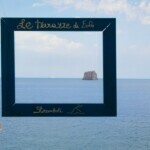 Of all the restaurants we found, we ate at “Le Terraze di Eolo”. More Italian pasta and white wine to keep on with our Sicilian diet. The same Sicilians who recommended us the Grotta di Eolo beach also told us about the cheapest grocery on the island, “Bottega del Marano”. Do not expect a supermarket – It is more like a local grocery store where they sell pickles, water and sandwiches. And by the way, for the cheapest store in Stromboli, it was still quite expensive (10€ per sandwich), but everything on this small and remote island is quite expensive. 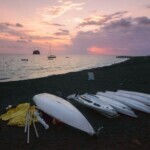 With this information we finish our guide of things to do in Stromboli in one day. DO YOU feel like climbing VOLCANOES?